As defined by Wikipedia, Kalakuta Republic was the name given by musician and political activist Fela Anikulapo-Kuti to the communal compound that housed his family, band members and recording studio. Fela declared it independent from the Nigerian government after he returned from the United States in 1970. Interestingly, many people do not know the internal workings of the republic asides from the musical records that were waxed in this hallowed residence of the musical legend. Fela Anikulapo- Kuti is an enigma who transformed the Nigerian musical scene through his genre of music- Afrobeats. The evergreen music attacked successive government in Nigeria and addressed societal ills. He also defiled a lot of rules after the creation of the republic, he set his own rules in order to create his desired society through his unpopular ideology. 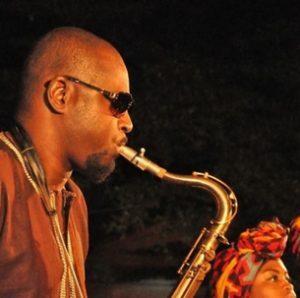 Despite all these, he had a lot of dedicated followership from the different strata of the society and he engaged all of them through his live performances at Afrikan Shrine. It was in the process of doing all these that he had different ladies from different tribes across Nigeria and beyond who voluntarily became his dancers. They eventually gave all that was in their disposal to live for and live with the ideologies of Fela. Just like the proverbial onion, two decades after the death of Fela Anikulapo-Kuti, there are still a lot of facts to be revealed to the world about him. This led into a series of research by Bolanle Austen-Peters, the woman described by CNN as the one empowering Nigerian theatre, to dig deeper into his life and tell the story of Fela in a distinct African way that can be understood globally. Equally of great assistance in achieving this laudable feat is the Estate of Fela Anikulapo-Kuti; two Queens and his pianist of many years. The uniqueness of Fela Anikulapo-Kuti was shown through a theatrical glance into Kalakuta Republic. Some of these were- his mode of dispute resolution among his wives; his own self-coined lexicons using words like Kalakundo; Kalakuzo and many more. 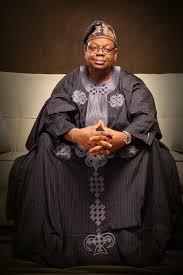 Other graphically details depicted his affront with the government; the unjust label of his unpretentious Queens as prostitutes; the allegation by the families of the ladies that their daughters were kidnapped by Fela. The musical drama drew the audience into the ideologies of Fela’s music and they eventually became a part of the presentation as they sang alongside the cast. 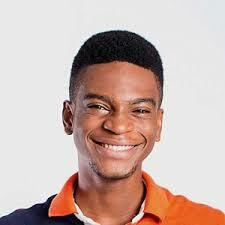 Some of his well-known satiric tracks used in the production include Gentleman; Democracy; Shakara; Open and Close; Upside Down and others. This songs had the right choreography as obtained during the life of the music maestro, this was achieved with the support of Yeni Kuti and the two Queens. Also, the musical drama stood out because there was a live band who had mastered the art of playing the tunes of Fela Anukulapo-Kuti. This complete orchestra had all the instruments that were available in Fela’s band. 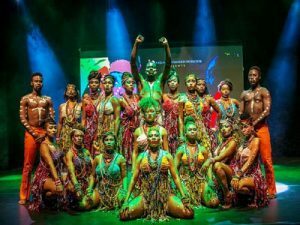 The pulsating musical drama had the right mix of cast and crew that brought out the dexterity of such a laudable production on Fela and His Kalakuta Queens. A great study of the cast’s stage movement; gestures, delivery and costumes was a perfect reinvention of Kalakuta Republic as seen in various musical videos of the music legend. This inversely transposed the audience to Afrikan Shrine, the headquarters of his musical performances. The actors gave it their best shot and the unrivaled performance will delight Nigerians during this festive season beginning from December 17 2017 – January 7 2018. 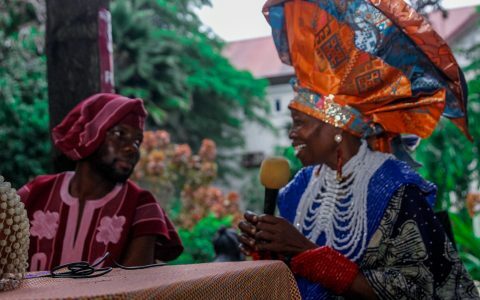 Some of the seasoned actors in the production are Laitan Adeniji who played the role of Fela; Kunle Afolayan- the Priest who solemnized the marriage with the 27 women; Desmond Elliot was the Judge who presided over the court case on Fela’s abduction of the girls. Other members of the team deserves glowing accolades for creating this historical piece that would appeal to a global audience. This ensemble put together by BAP Productions has productively engaged Nigerian young adults by seeking raw talents and turning them into great thespians. This new BAP Productions is another way of telling great stories about Africans, from Africa to the world. As expected, this musical production is expected to travel to other places such as the United Kingdom and Abuja, the capital of Nigeria to delight theatre lovers. I can gladly say that Fela and his Kalakuta Queens is a great peep into Kalakuta Republic that should be viewed by everyone who crave for an egalitarian society.